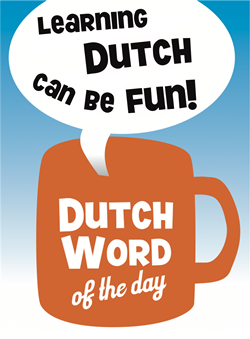 “Hoe dan ook” is composed of “hoe”, “dan” en “ook”, which respectively translates to “how“, “then” and “too“. “Hoe dan ook” is used in situations where you go into a certain direction, although there are reasons to go into another direction. Sounds a bit vague, doensn’t it? 🙂 Just check out the Examples. – “In ieder geval”: at least, anyway. – “Hoe het ook zij”: be this as it may. – Sowieso: anyhow, in any case. This entry was posted in Dutch phrase of the week, DWOTD 1.0, Vocabulary Basic and tagged hoe dan ook by Marc. Bookmark the permalink. “Any (which) way” seems to be a good translation..